What do Wimbledon Champion Serena Williams, Olympic swimmer Michael Phelps, pro golfer Maverick McNealy, and Olympic skier Mikaela Shiffrin have in common? They all write to improve as athletes. 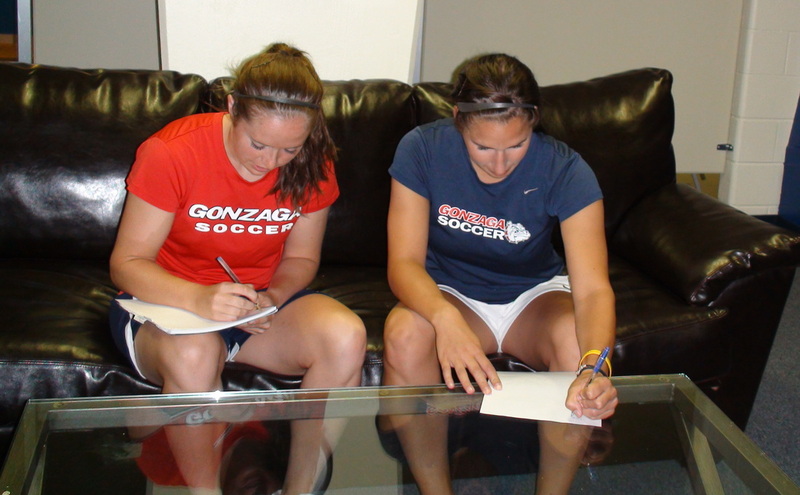 Gonzaga University soccer players writing in their team notebooks. Sports psychologists have used writing activities with athletes for decades. Many coaches have, too. I started using writing activities with my own athletes in the 1980s. Since 2005-06, as a professor at the University of Maine, I've been researching writing to learn in the form of Athletic Team Notebooks and Journals. What have I discovered so far? As learning tools, these notebooks and journals serve as a place for athletes to analyze and reflect. They engage seniors and first-year students, all-stars and benchwarmers—in different ways. And that difference is the beauty of such a learning activity. In terms of learning, player development, and communication, writing has the potential to offer a powerful difference for teams and athletes. 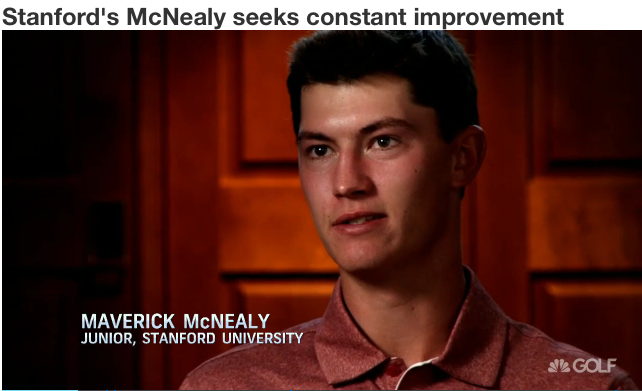 For the NCAA's 2015 Player of the Year in golf, Maverick McNealy used his notebook to analyze his game in an effort to seek continual improvement. Check out an interview with McNealy as he talks writing. For information, click on the cover. In the menu bar at the top, you'll see resource pages such as "What's a Team Notebook?" and "What's an Athlete's Journal?" Here, you'll find models plus drop-down menus that will provide further information. I've also included a "Contact Rich Kent" page. I'd love to have you drop me a note telling me who you are and for you to share questions or suggestions. The research book I wrote as the result of 6 years of study is called Writing on the Bus. This book is for coaches and serious athletes. I've also written a number of companion books. If you'd like to order individual copies or receive a Team Discount, just click on "Books & Journals." Finally, my sincere thanks to the National Writing Project for its support of this work. For you teachers, NWP is the best professional development out there! Find a local NWP site and go visit. Click here for the NWP Site near you.